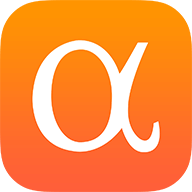 Firm news: Andreessen Horowitz plans to become a registered investment advisor in a shift away from venture capital. The 10-year-old firm filed RIA paperwork last month to have greater investment flexibility including cryptocurrency. The decision was made last year as the firm raised its first crypto fund with $300M in committed capital. The change should become official this month after the 45-day SEC processing period. Andreessen will still participate in private investing and is currently raising a growth fund of $2B to $2.5B that’s expected to close in the next few weeks. PayPal (NASDAQ:PYPL) co-founder Max Levchin’s Affirm raised $300M in a Series F round at a $2.9B post-money valuation, according to Axios. Thrive Capital led the round with participation from Fidelity, Wellington Management, and Sound Ventures. Total funding now stands at about $800M. The consumer credit startup is a mobile app that uses an algorithm to offer point-of-sale micro-loans for online shoppers with limited credit histories. The customer pays back the loan in monthly installments. Affirm partners include D2C mattress startup Casper, furniture and home goods retailer Wayfair, and travel site Expedia. The new funding will go towards general hiring and expansion. Competitors: Affirm competes with traditional credit cards, large e-commerce sites like Amazon (NASDAQ:AMZN) that offer financing options, and startups like Klarna ($682M in funding, backers include Snoop Dogg and Visa). GV (GOOG,GOOGL) co-led a $175M round for data management startup Segment at a $1.5B valuation. The round brought its total capital raised to $284M. Accel and new investor Meritech Capital Partners also led. Segment helps companies collect different analytics tools from multiple platforms to provide better customer support and service. The startup also helps manage customer privacy across those platforms, which is increasingly important with regulations like the EU’s GDPR. Client Glossier (a recent unicorn) users 14 tools across 12 platforms including the website, mobile app, and brick-and-mortar store. Other clients include IBM, Atlassian, and Intuit. Segment will use the new funding to hire more international workers. Competitors: mParticle ($76M in funding) and Keen.io ($29M) are similar startups. Intel (NASDAQ:INTC) and GV invested in a $150M Series B round for AI hardware startup SambaNova Systems. The funding comes roughly a year after the $56M Series A funding. SambaNova was founded by a pair of Stanford professors and Sun Microsystems vet Rodrigo Liang on the belief that tweaking existing hardware and algorithms to boost performance isn’t enough. The startup instead wants to create a new hardware and software platform from scratch. SambaNova hasn’t publicly shared details about its system architecture, but the backing of Intel and Alphabet hints at the strength of the system. Competitors: Legacy chipmakers Nvidia (NASDAQ:NVDA) and Intel both focus on AI while tech giants Google, Apple (NASDAQ:AAPL), and Amazon (AMZN) all have custom AI chips. GlaxoSmithKline (NYSE:GSK) and Pfizer (NYSE:PFE) joined a $125M Series B for SpringWorks Therapeutics, which was spun out of Pfizer in 2017 with four drugs that no longer fit the pharma giant’s core strategy. Other investors in the round included Bain Capital, OrbiMed Advisors, and HBM Healthcare Investments. The total funding now stands at $228M. SpringWorks focuses on rare diseases and specific types of cancers, particularly those left on the shelves by other companies. The funding allows the company to proceed with three clinical studies in the first half of 2019 including a Phase 3 trial of former Pfizer drug nirogacestat, which PFE originally tested for breast cancer but SpringWorks is targeting towards connective tissue tumors. A Phase 2b trial of PD-0325901 targets a genetic subset of patients with neurofibromatosis, which creates benign tumors on nerve and other tissues and has no FDA-approved treatment. The startup is also testing PD-0325901 in an early stage combo therapy trial with a BeiGene (NASDAQ:BGNE) drug for certain solid tumors. Competitors: Other companies grabbing up abandoned assets for development include GSK’s Tesaro, Boston Pharmaceuticals (NYSE:BSX), and Ovid Therapeutics (NASDAQ:OVID). Investor Johnson & Johnson (NYSE:JNJ) Innovation joined a $105M round in targeted radiotherapy company Fusion Pharma. OrbiMed and Varian were among the other backers. Fusion thinks its targeted radiotherapy stands apart due to its linker technology can clear radiotherapeutics faster than commercially available linkers, which extends the therapeutic window. Lead asset FPI-1434 is in a Phase 1 study for advanced solid tumors. The company also has several preclinical programs and plans to bulk up its pipeline through internal discovery and new partnerships. Competitors: Radiotherapy isn’t a new treatment concept, but Novartis (NYSE:NVS) spent about $6B in a year to acquire radiotherapy-related assets.